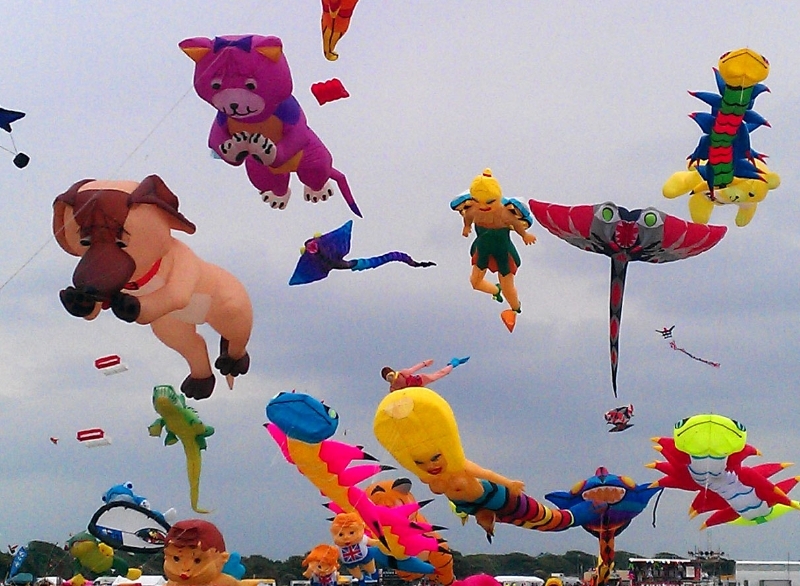 The last August Bank Holiday saw us make our annual pilgrimage to the Portsmouth International Kite Festival 2013. 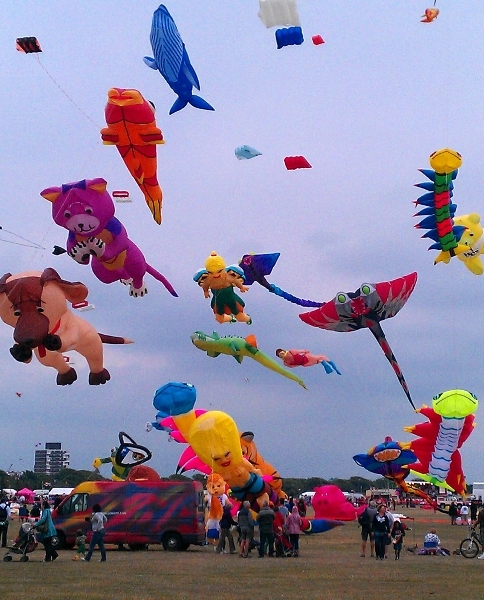 Portsmouth International Kite Festival – is one of the premier kite festival in the U.K. 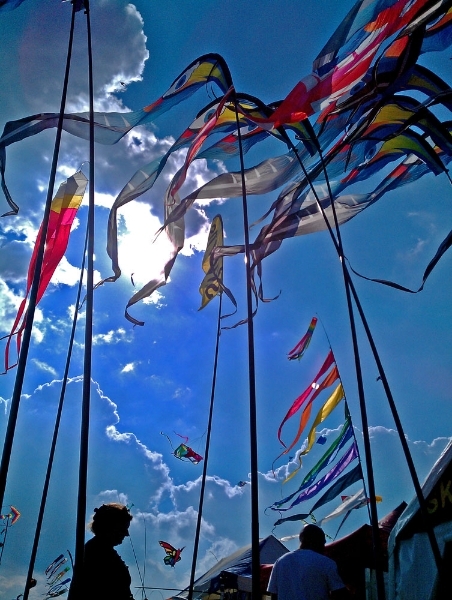 It has grown year on year to be recognised by the worldwide kite community as one of the best kite festivals, attracting many kitefliers from around the world together with many tens of thousands of spectators. We are inclined to agree! 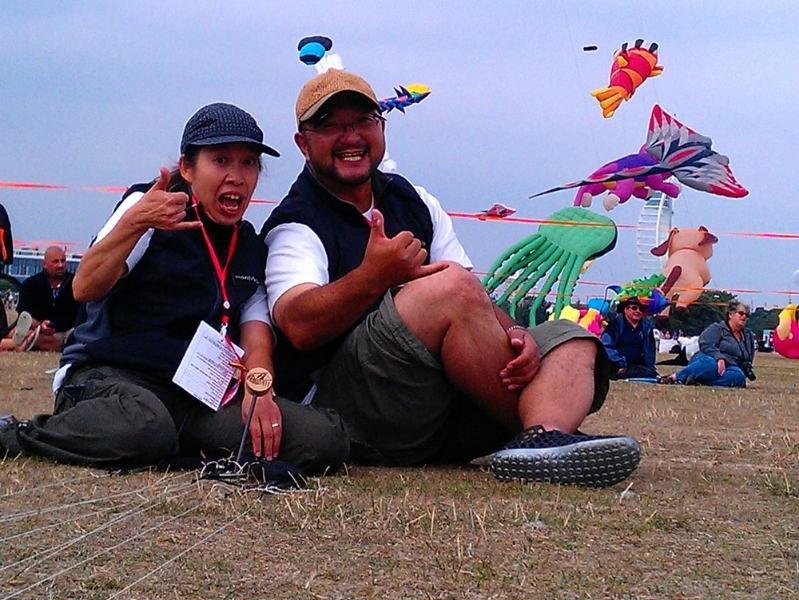 This year’s festival was no exception with a truly impressive array of single line kites from across the world and a who’s who of sport kite fliers from as far afield as Japan. 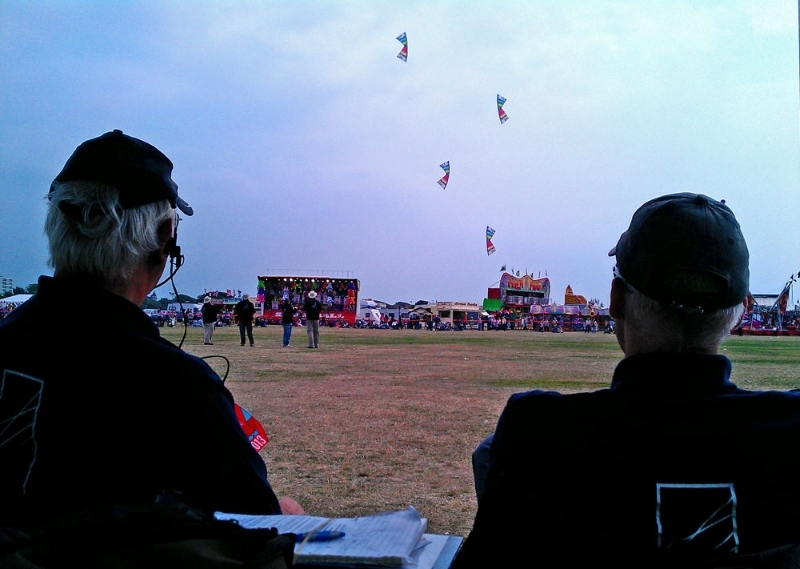 Revolution kite teams were well represented by The Decorators, The Flying Squad and Fusion. 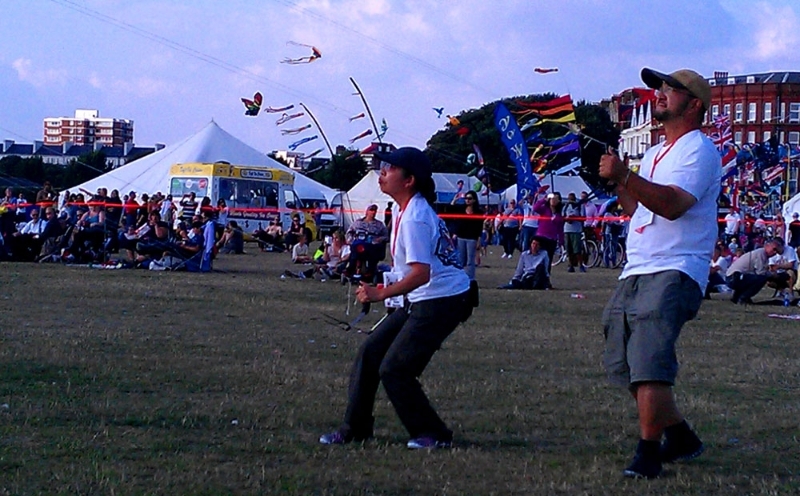 Team Karassu were an entertaining change of pace using the Revolution Blast kite. They were clear favourites with the public. Finally, the dual line sport kites were provided by Cerf-Volant Folie from France who flew spectacular 9 person routines. This was made all the more impressive as their team leader was at home in France recovering from Appendicitis! So why do we like this festival so much? Not an easy question to answer! It could be the great organisation team that work tirelessly in the back ground. Perhaps it is the chance to see kites and meet fliers from around the world. Maybe it is the hardworking combination of Field Director and commentator who keep the arena program flowing seamlessly all day, or perhaps it is the large and enthusiastic crowd that gather around the arenas? Whatever the answer, this friendly, collaborative congregation of committed kiters makes for a great weekend. If you haven’t yet been, add it to your diary for next year. If you are a regular, see you on the field next year and thanks for making our weekend one to remember!